Law Offices of Carmen G. Soto, P.A. 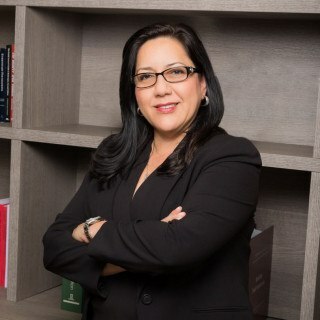 Family law and bankruptcy attorney Ms. Carmen Soto was born in South Florida and speaks fluent Spanish and English. She has traveled extensively and has been exposed to many diverse cultural environments and is, therefore, understanding and sensitive to the cultural differences of a diverse, international clientele. Her practice is devoted to family related issues, bankruptcy as well as civil litigation. During her career, Ms. Soto was employed for three years with the Department of Children and Families and understands the emotional hardship that families undergo during times of extraordinary stress. She has experience dealing with people going through extreme conflicts. She has dealt with many people with physical and mental disabilities. She is very sensitive and compassionate with people in the midst of emotional conflict, while at the same time she is steadfast and focused on the legal issues, thus leading to a judicially satisfactory result for the client and protection of their legal rights. Ms. Soto has a Juris Doctorate Degree in Law, Master of Science Degree in Psychology (graduated with honors), and a Bachelor of Science Degree in Finance. We accept PayPal, MasterCard, Visa, and American Express. Payment plans available. Attorney and office staff bilingual(Spanish), Saturday appointments available.